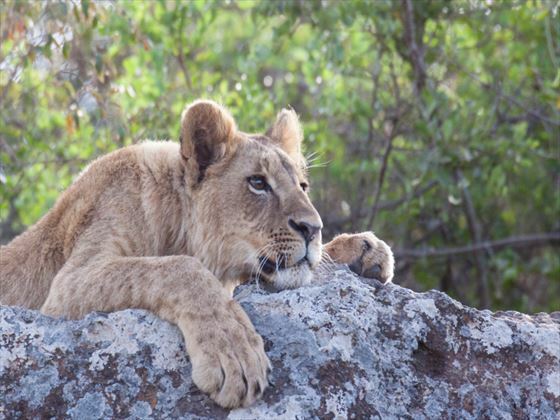 See two stunning sides of Africa on this ten night tour, combining five nights of unforgettable safari experiences with a relaxed stay at a Kenya beach resort. You’ll start your experience with a night in the unique Nairobi Tented Camp, inside the only national park at the edge of a capital city. 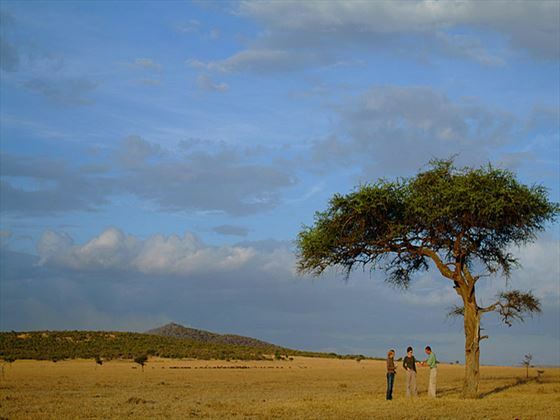 You’ll then travel to the unparalleled Masai Mara for incredible game drives. You’ll end the tour with a stay at Amani Tiwi, an award-winning beach resort famous for its laid-back and peaceful atmosphere. 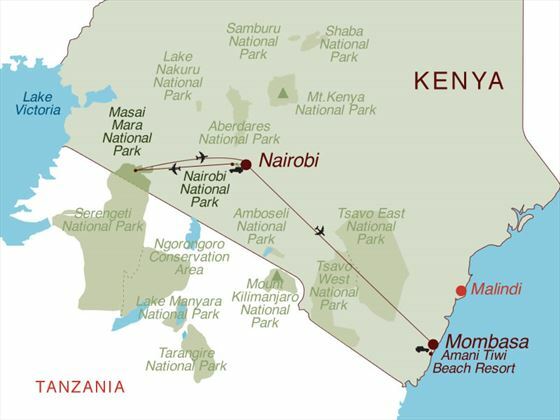 On arrival at Nairobi’s international airport you’ll be met and transferred to Nairobi National Park. 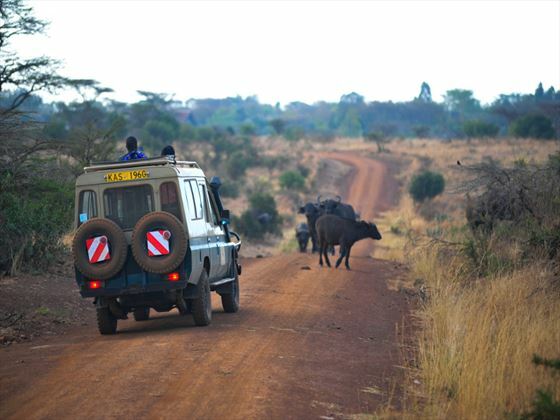 Here you’ll check and take an afternoon game drive before returning for sundowners and dinner. You’ll have breakfast at Nairobi Tented Camp then you’ll be transferred to Wilson Airport where you’ll take a flight to the Masai Mara. 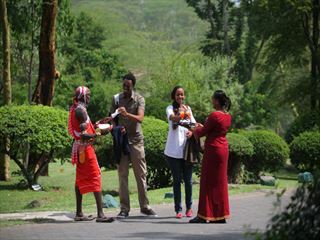 Here you’ll be met on arrival and be driven to Porini Bush Camp. 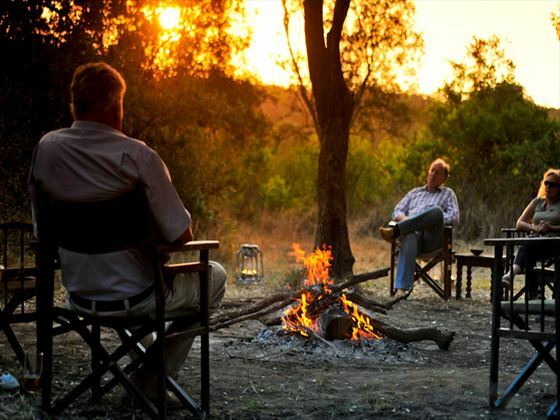 Check in at the camp and then head out on an afternoon game drive, followed by sundowners and dinner back at the camp. On the third day you’ll go on an early morning game drive through Ol Kinyei and Naboisho Conservancies. You’ll then come back to the camp for breakfast, relaxation time and lunch. Next you’ll head out for an afternoon game drive with a stop for sundowners at a scenic point. Finally enjoy a night game drive back to camp where you’ll have dinner. 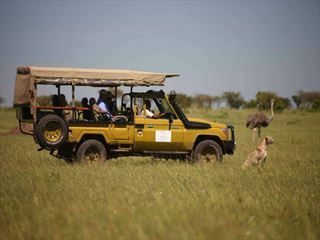 Days four and five offer two more days of game drives. After breakfast at the camp you’ll be transferred to Naboisho Airstrip for a flight to Wilson Airport. 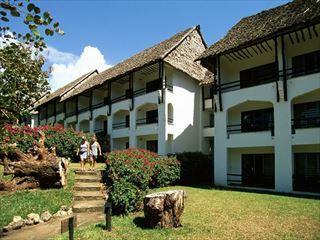 From here you’ll take a flight to Ukunda Airport in Diani, just to the south of Mombasa, where you’ll be transferred to Amani Tiwi Beach Resort & Spa, an award-winning boutique hotel where you’ll have dinner and retire to your room. You’ll then have three nights at Amani Tiwi Beach Resort on a half-board basis. 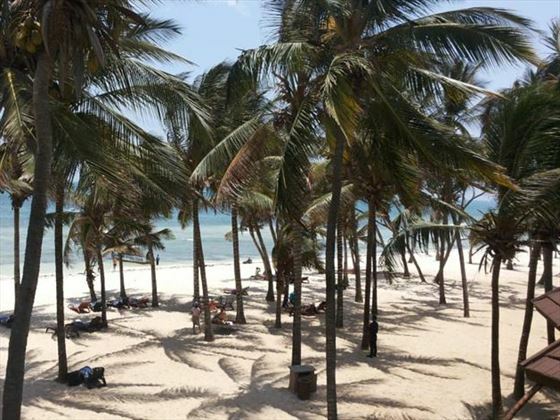 Enjoy the fine white sand beach and relax in the sun. After breakfast today you’ll transfer to the airstrip where you’ll fly to Nairobi and catch your flight home.